New year, new goals, new style. Tracy Anderson has teamed up with sustainably-sourced, fair trade luxury cashmere sweater brand Lingua Franca on a healthy new year collaboration. The limited collection reflects Tracy’s approach to fitness and healthy living, with hand stitched embroidered sayings designed to inspire and empower women to reach their goals in 2019. This style features a loose body with a banded waist and cuff. 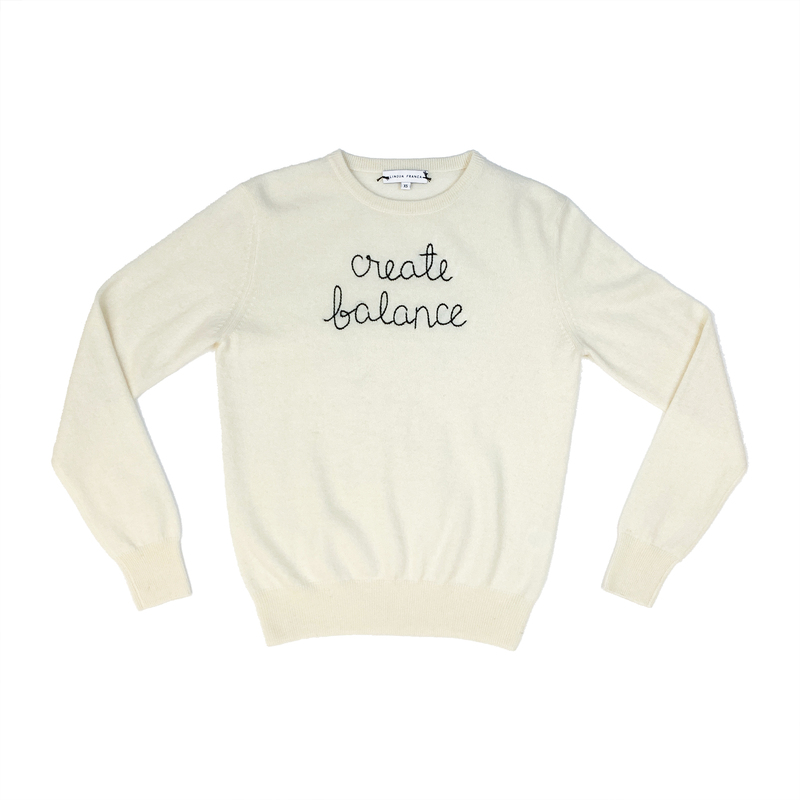 All sweaters are embroidered by hand and 100% cashmere. A percentage of each sweater sold will be donated to Planned Parenthood. Due to the craftsmanship, this item will be shipped 3 weeks after the purchase date. All sales are final. SKU: N/A Categories: LINGUA FRANCA X TRACY ANDERSON, NEW!